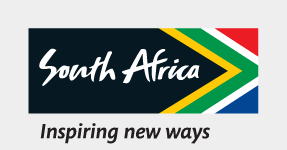 AAre you a visitor who wants to get acquainted with the cultural heartbeat of South Africa? Perhaps you’re here for only a short while and you want to explore Joburg through the eyes of locals for a more profound experience? Maybe you are considering relocating to this dynamic cosmopolitan city for a job or school and you wish to find out why Joburg is a great place to live. Or you might be a resident who wants to strip away the sheets to see what lies underneath the city that has become part of your personal wallpaper. Whatever the case, a Past Experiences guided tour is an excellent choice. It offers an unparalleled insight into Joburg’s origins, attractions and why it is one of the best places to work, live and play. Take any one of their Joburg Inner City Tours – on foot or public transport – and you will get to feel an overall atmosphere threading its way through the fabric of the city that is equal parts multi-cultural and friendly. PPast Experiences guides are university graduates, registered with the Gauteng Tourism Authority. The Mandela’s Joburg takes you to Chancellor House, which has now been turned into a museum, and provides a vivid insight into some of the work and defiance campaigns that led to Mandela’s long and arduous imprisonment. In addition to Mandela, there were many other leaders who had a hand in shaping the history of Joburg. It is because of this reason that the city centre is dotted with streets named after them. OOver the past several hundred years, Joburg developed and embraced layers of influences that can easily sell the city to anyone. The Ka’Ching Tour takes you to the edge of the world’s largest-known gold deposit. It paints a picture of what Joburg looked like in 1886, during the early mining days. While visiting one of the earliest and well-preserved mining stopes, you will step into the shoes of the first few gold miners and follow in their footsteps as they tracked the gold-rich vein of South Africa. You will also learn more about some of the oldest edifices of buildings with historic significance. PPolitical leader, Nelson Mandela walked past some of these buildings on a day-to-day basis. During 1952 to 1960, he and fellow anti-apartheid revolutionary Oliver Tambo worked from Chancellor House, situated opposite the Magistrate’s Court in downtown Joburg. The three-storey building served as offices of their thriving law firm, Mandela & Tambo Attorneys, which defended black clients against apartheid laws. The I Love Newtown Tour is a true rags-to-riches story about how a cultural precinct that was once a slum transformed into a main gateway for goods and fresh produce as well as a hub of commercial trade and industrial activities. IIn addition to learning about the network of streets named after cultural heroes, such as Dolly Rathebe and Miriam Makeba, you will see many of the precinct’s top attractions, including Johannesburg’s leading Museum Africa (Africana Museum), the Workers Museum and Sci-Bono (the largest science centre in Africa). If you’re looking for the best local bargains, then the I Love Shopping Tour is for you. Situated in the east end of Joburg, the Fashion District is a real find for people who want to look good without having to spend a fortune. It’s home to more than 300 fashion-related micro-businesses and countless "downtown shops" in cramped spaces overflowing with materials and clothes. An avid shopper would be delighted to discover that you could find an entire outfit (including shoes) for less than R150.